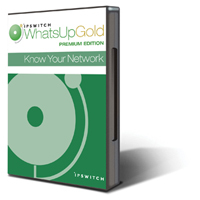 Which edition of WhatsUp Gold is right for you? WhatsUp Gold Standard Edition is a feature-rich yet affordable network management solution for small to mid-sized businesses. It’s easy-to-use, proactive network infrastructure monitoring and management. 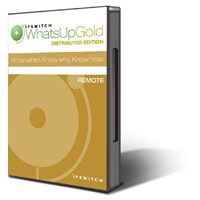 WhatsUp Gold Standard includes an integrated Alert Center, Layer 2/3 discovery, mapping and asset reporting and the ability to extend its functionality with any of the WhatsUp Gold plug-ins. It provides the absolute best price-performance ratio of any network management solution on the market. WhatsUp Gold Premium is an enterprise-grade IT management solution to monitor and manage your network’s performance, configuration and connectivity across wired, wireless, physical and virtual devices. WhatsUp Gold Premium combines proactive monitoring of your infrastructure, systems and applications with powerful alerting and notifications to keep you informed of potential problems in real time. When issues arise, intuitive dashboards provide access to the business-critical information you need. With its extensive monitoring capabilities and ability to scale to tens of thousands of managed devices, WhatsUp Gold Premium is an ideal solution for networks of any size or complexity. WhatsUp Gold Distributed Edition is the perfect solution for scalable and secure management of larger networks with multiple autonomous sites. It gives each site the full management functionality of WhatsUp Gold Premium for complete control of their local network. Critical data is rolled up to a central NOC for real-time visibility into the status of infrastructure, systems and applications across the entire network. Integrated SQL database format for trend data and complete system inventory reporting of hardware, software, firmware, and patches.